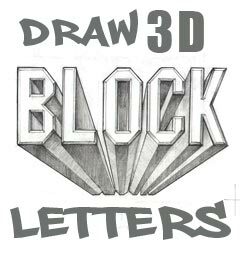 Draw Cool 3d Block Letters With a Pencil! 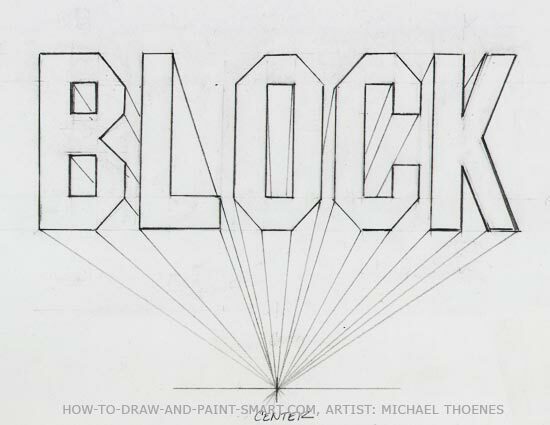 Achieve the illusion of block letters zooming up towards you on the page. 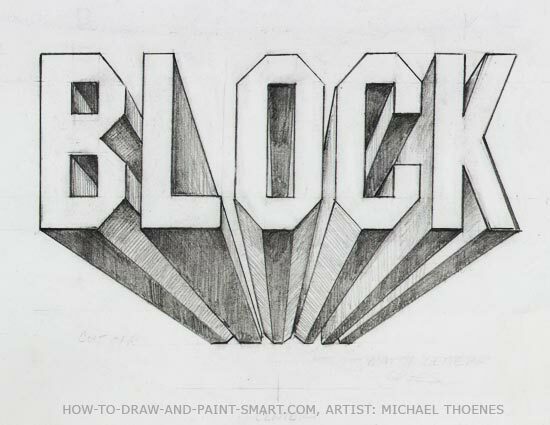 Drawing block letters is a great skill for any aspiring graphic designer or graphic artist to master. Whether you want to write your name in 3d block letters or perhaps a Garage sale sign or a superhero name. 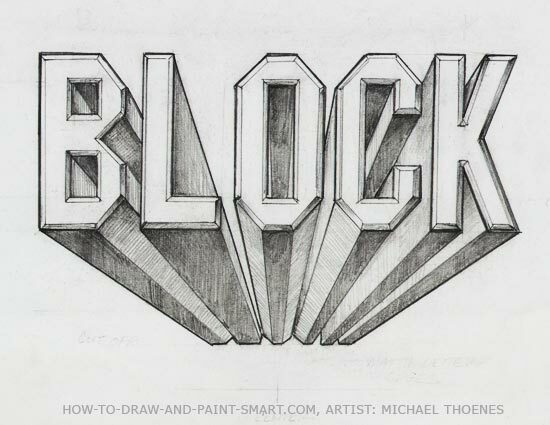 3d block letters will get attention. I use to write my name with theses kinds of letters on my school notebooks. 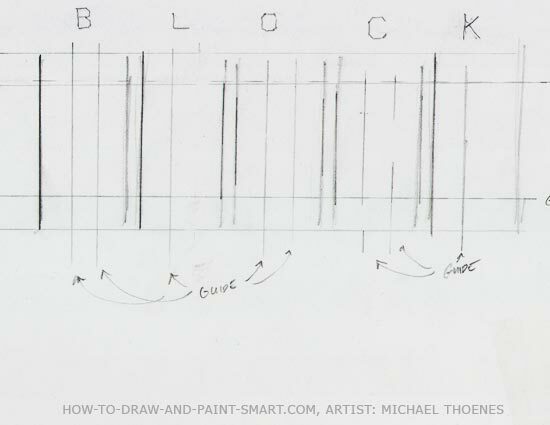 Materials: For this drawing art lesson you will need paper, pencil and a straight edge. i prefer a transparent ruler. If you do not have a transparent ruler, the edge of a CD case works. Feel free to be creative. You can use many things as a straight edge. A good eraser will be needed as well. The first step is to choose your word and space out your letters. I have chosen to demonstrate using the word "block." Below is a sample set of block letters you can use to make your name or any word you choose. 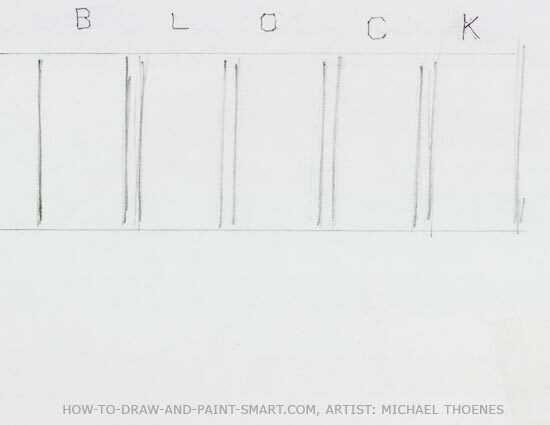 Using your ruler, draw guide lines for the top and bottom of your letters. 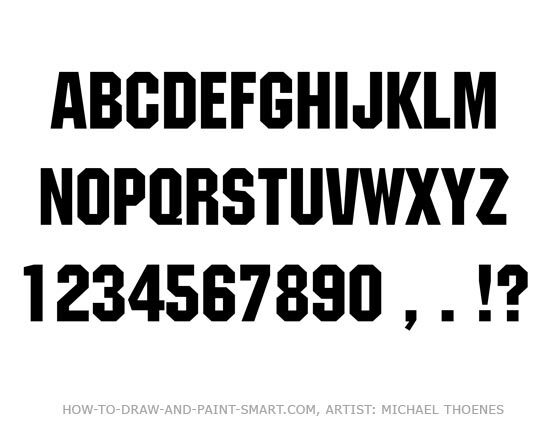 Next, lightly draw vertical lines for the placement of each letter. Sample block letters you can use as a guide! The vertical and horizontal strokes of these block letters have a uniform thickness, so mark guide lines for the thickness of your letters. 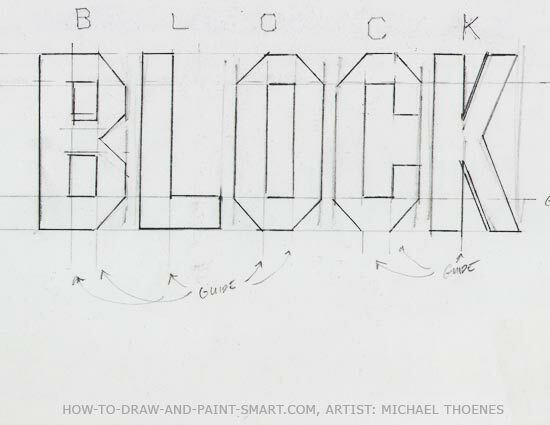 Using the thickness guide lines you created, draw in the shape of your letters. Look at the sample letter chart often to draw your letters as accurately as possible. Erase your guides and clean up your block letters. Choose a point centered below your letters. Mark this point. 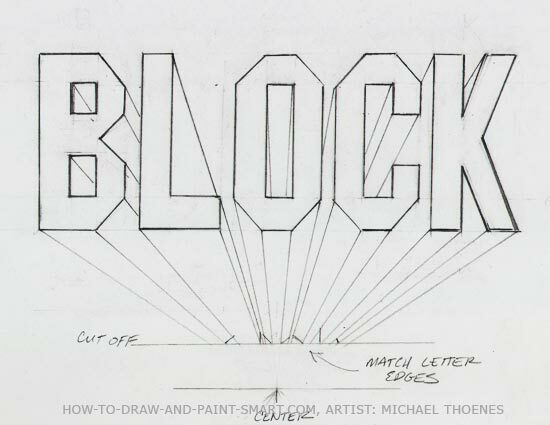 Then carefully draw a line from each corner of your block letters down towards this point. If you run into another letter or part of a letter, stop your line. 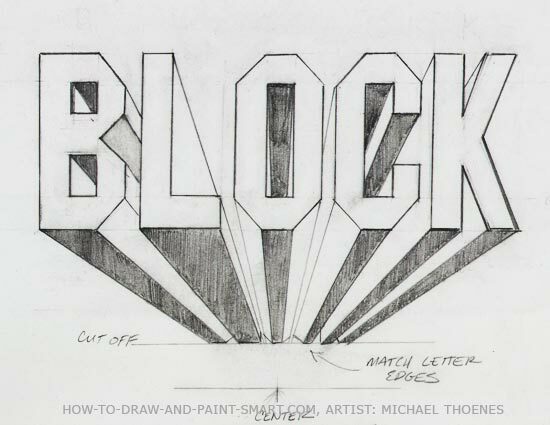 This one-point perspective technique will make your 3d letters come to life. Next chose a place to cut off your letters 3d perspective and erase the perspective lines below that line. draw lines at this cut of edge to match letter edges forming the back part of or each extruded letter. Shade the bottom parts of the 3d letter extrusions. Shade the angled and side parts of the extrusion, but not as dark as the bottom parts. Add a bevel to your letters by drawing a line inside your letters and connecting the corners. then shade the bevel to one side.